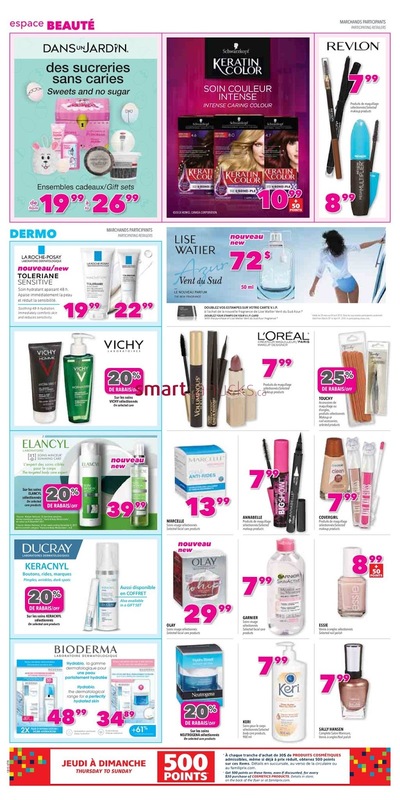 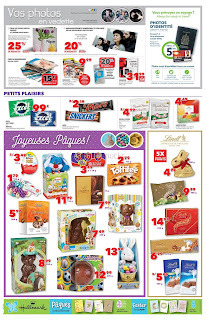 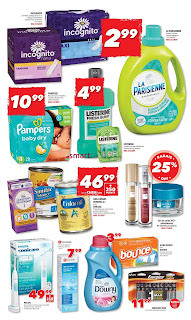 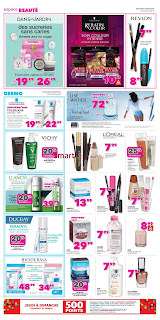 Familiprix Canada Flyer March 29 - April 4, 2018 - INCOGNITO Serviettes, protege.dessous ou tampons selectionnes Selected Pads, pantiliners or tampons MAX 3/CLIENT 2.99. 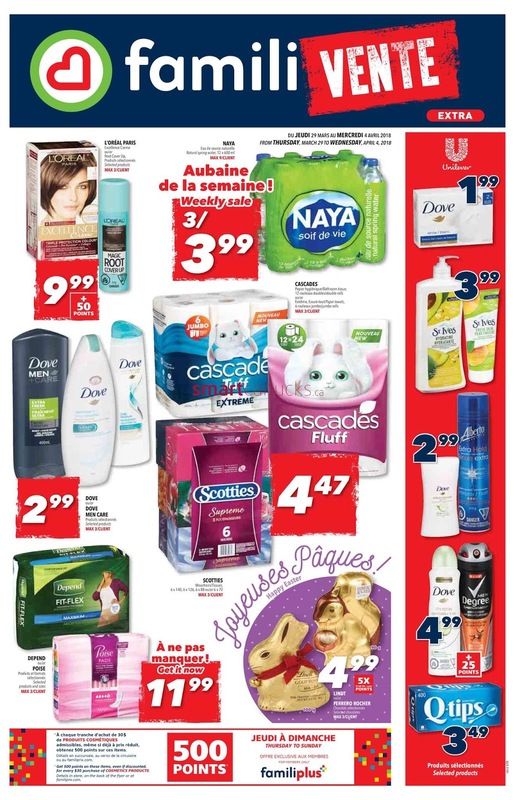 LA PARISIENNE Detersif a lessive Laundry detergent 1,52 litreffiter MAX 3/CLIENT 2.99. 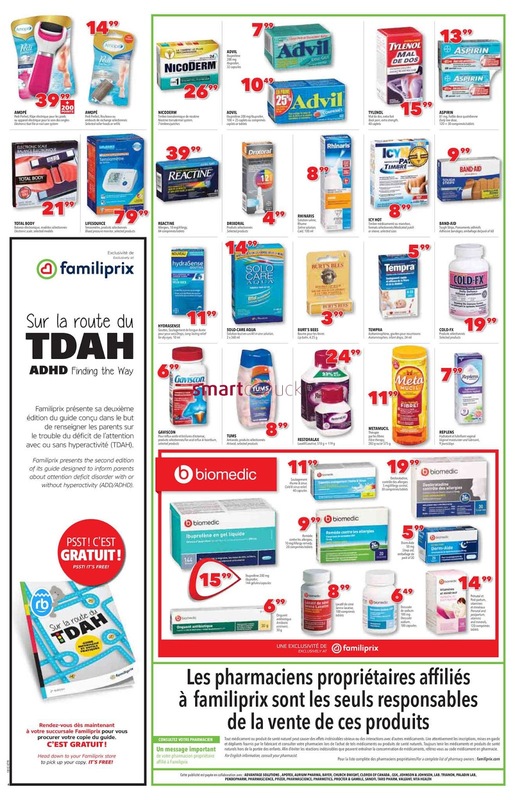 BON DEPART, ENFAMIL A+ Duro/ SIMILAC Preparation pour nourrissons, produits selectionnes infant formula, selected products MAX 3/CLIENT 46.99 + 250 points. 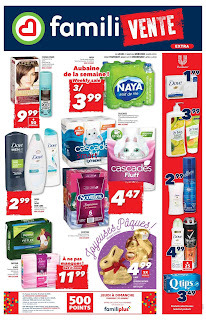 LISTERINE Produits buaaux selectionnes Selected buccal products MAX 3/CLIENT 4.99. 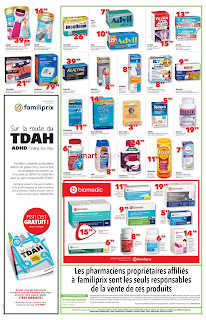 Sur les soins IDC+ selectionnes On selected care products MAX 3/CLIENT rabais 25% off. 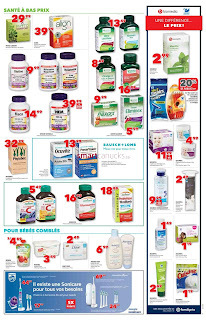 GERBER Biologi/organic Aliments pour bebes selectionnes Seelected baby foods 3/4.89 128 ml. 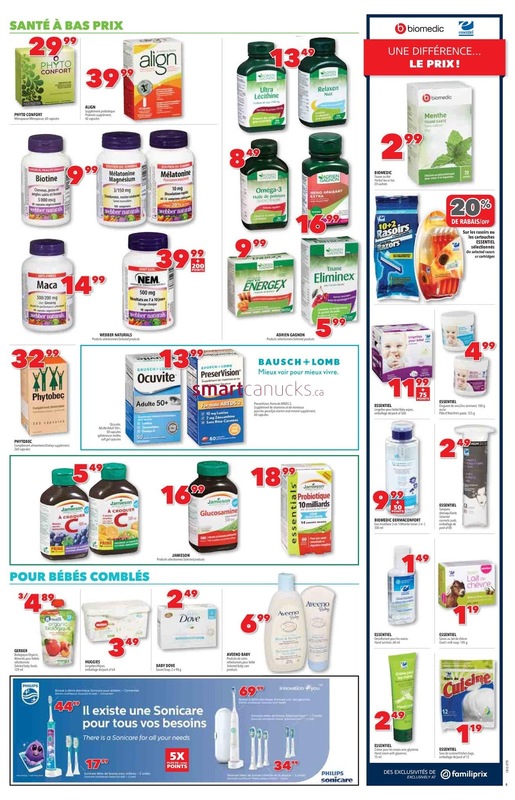 AVEENO BABY Products de soins selectionnes pour bebes Selected baby care products 6.99.